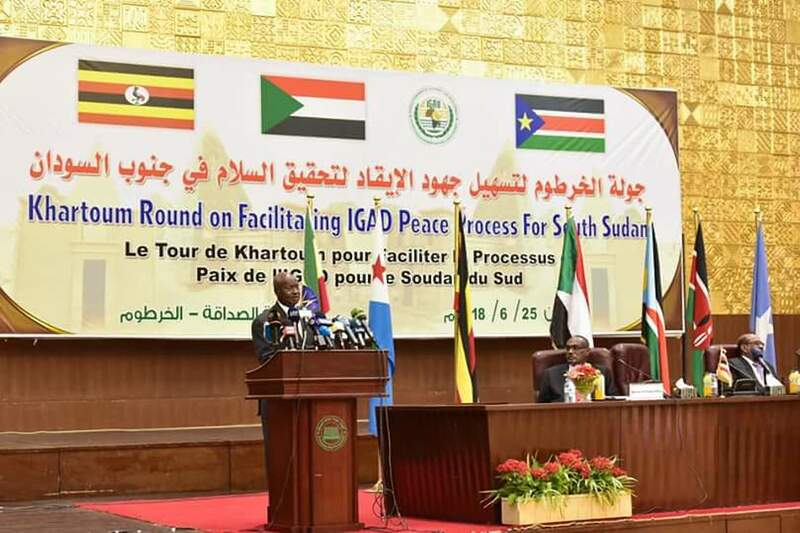 KHARTOUM – South Sudan rival leaders, President Salvar Kiir and his former vice president Riek Machar, on Sunday strarted direct talks in Khartoum, witnessed by a large number of regional leaders and diplomats. The second meeting in a space of just days spells hope for the process of restoring peace in the world’s youngest nation. The first meeting happened on June 20, hosted by Ethiopian prime minister. At the end of the Addis Ababa session, it remained unclear if the two leaders would meet again or if the talks pointed to any positive outcome. 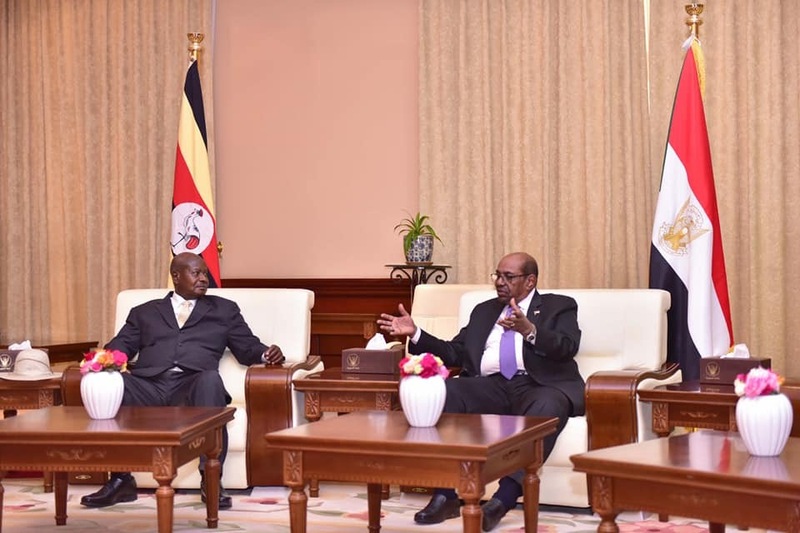 On Sunday, President Kiir and Machar held a face-to-face meeting mediated by host Sudanese President Omer al-Bashir in the presence of Ugandan President Yoweri Museveni. 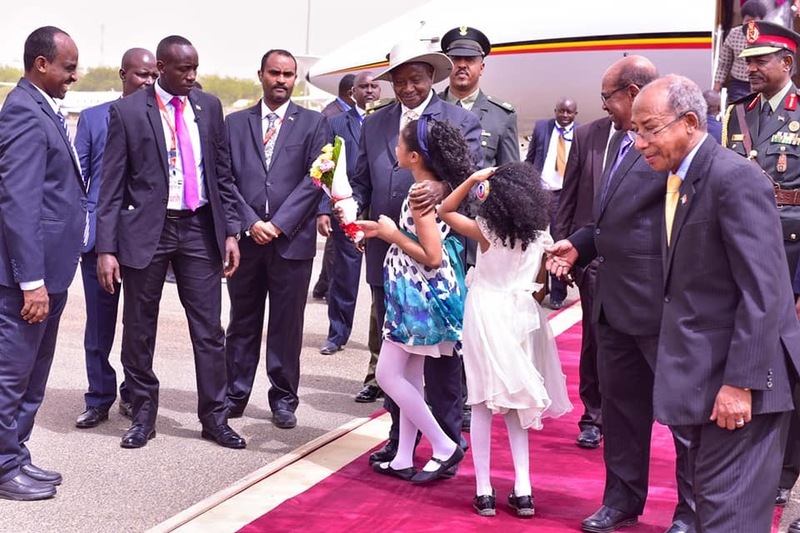 President Museveni wrote on his social media that he was in Khartoum to support the efforts to reach a peaceful settlement for South Sudan’s crises, expressing hope that the talks managed to achieve positive results. He pointed out that Sudan has felt the impact of South Sudan’s crisis when two million refugees arrived in its country. 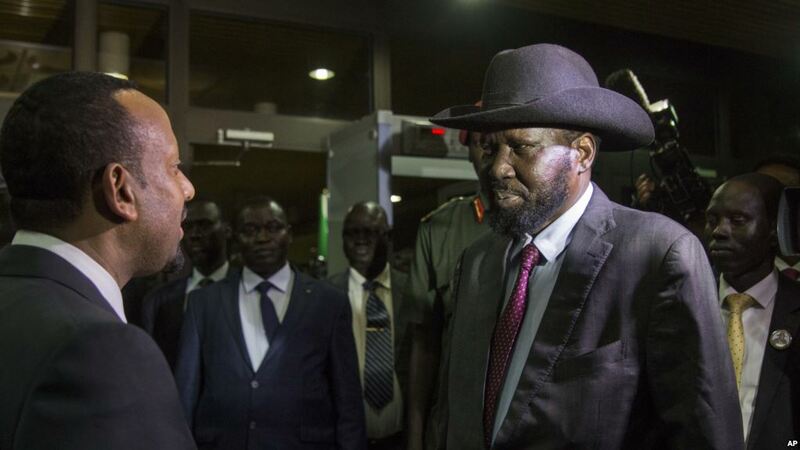 President Kiir said he was an open mind to achieve peace in South Sudan and to stop the “unjustified war”. He expressed his hope that “my brother Dr Riek Machar” also came with an open heart to lead the country to safety and security away from internal differences and enable the people of South Sudan to enjoy peace, stability and prosperity. IGAD mandated President al-Bashir to facilitate a second round of discussions between President Kiir and Machar for two weeks as follow up to the June 20 Addis Ababa talks. 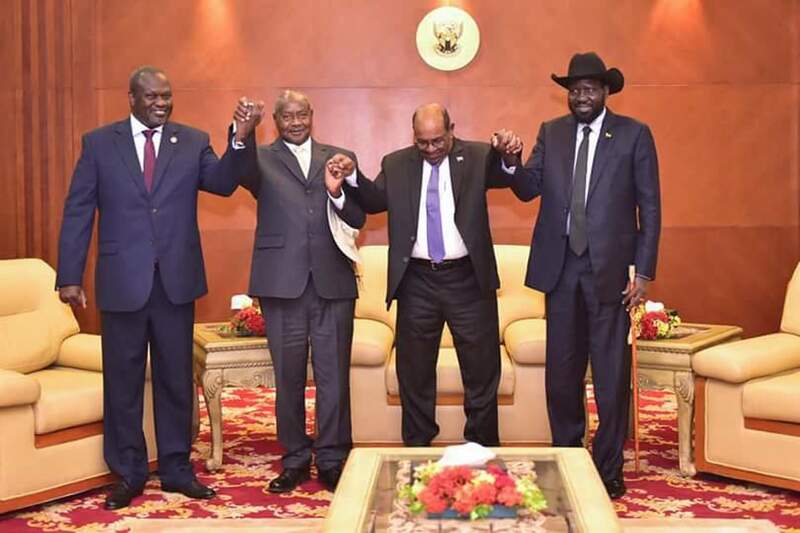 IGAD leaders also nominated President Uhuru Kenyatta to facilitate a third round of face-to-face discussions between President Kiir and Machar in Nairobi after the end of the Khartoum talks. My appeal to key political players in South Sudan is to have constructive deliberations as they negotiate for peace, unity and concretize the ground for the development of their country. I used to see South Sudan developing but later it went into a standstill because of disunity. Today, we have had discussions on matters of peace in South Sudan and we have a good starting point to restore political normalcy. It was a good gesture that both His Excellency Salva Kiir and Dr Riek Machar shook hands, setting into motion the fruitful meeting we had today. I pledge full support and solidarity to ensure that South Sudan is back on the track of economic and social development. I thank His Excellency Omar el-Bashir for his concern over the political instability in South Sudan and for calling this meeting. I also salute Dr Machar for honouring this peace-making mission for the benefit of all people in his country and His Excellency Salva Kiir for being present too.